A look back at what made Resident Evil 2 such an iconic survival horror experience. It’s hard to imagine what the horror genre would be like without the Resident Evil series. Racoon City not only spawned some terrifying monsters, but an entire survival-horror movement, and it was only twenty years ago that a little game called Resident Evil 2 changed everything. While it wasn’t the first in the series, it’s often considered to be the one which had the greatest effect on the genre. With rumors circling that another HD remake announcement is imminent, what better time to take a look back at what made Resident Evil 2 such a terrifying game! Credit to USGamer.net for the above screenshot of Resident Evil 2. At the beginning of 2017, Resident Evil 7: Biohazard launched, bringing with it a new way to play (first-person as well as VR), a whole new story to experience, and, more than likely, a lot of new gamers who might not have ever experienced the previous entries in the series. Apart from some brief asides and a couple of episodes in the DLC, almost the entirety of RE7 was played from the perspective of a single character, Ethan. This wasn’t the case in Resident Evil 2, which employed a unique storytelling mechanic. 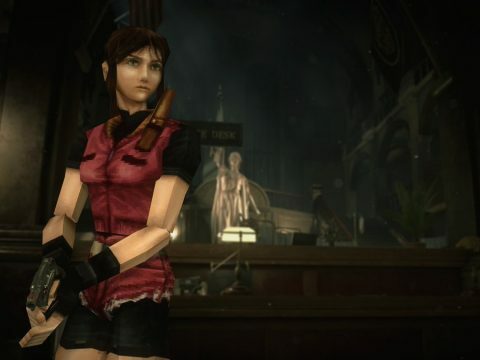 In Resident Evil 2, the main story could be played from the perspective of two different characters, either Leon Kennedy or Claire Redfield. Playing it with Leon first allowed you to play the follow-up with Claire, or vice versa. Depending on who you chose to play first affected what would happen in the other character’s playthrough: some items might not be available, characters would behave differently, and quite obviously, the story would change. This two-protagonist storytelling structure is the stuff of legend, offering gamers the opportunity to experience the narrative with a fresh set of eyes. But it also sparked a bit of controversy surrounding which storyline should be considered canon. 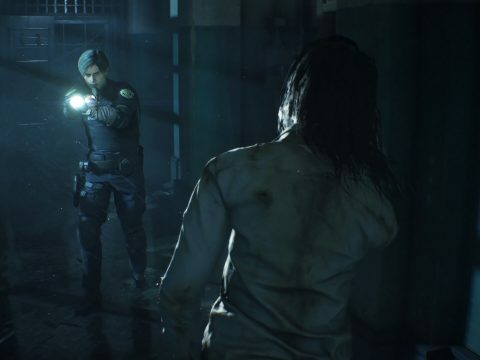 Resident Evil 7 might have played a role in the evolution of sound design in horror games, but it owes a lot of credit to Resident Evil 2. For a game that began its life on the original PlayStation and the Nintendo 64, the audio is still able to send shivers down our spines. The guttural moaning of the zombies and the howling wind build up this desolate atmosphere, which couples perfectly with the dilapidated state of Racoon City. Even the loading screens in RE2 were creepy. Passing through a door into a new area would greet you with the sound of rusty metal screaming against joints as a barred door opens or sometimes worse, no sound of a door opening followed by a loud bang as it swings shut behind you. In the middle of the night, with no noise but our own scared breathing, the sound of a slamming door was often too much to handle, even if we knew it was coming! Then there was the unforgettable soundtrack that tied it all together. There was a true sense of fear and anxiety as you struggled to not only fend off the ever-present threat of the undead, but also manage your inventory and work out a route to your next objective, all while the score shrieked and pounded away, urging you to fight and live. We’ve already kind of mentioned it above, but it bears repeating. Resident Evil 2 truly solidified the survival horror experience of scrounging for resources, being wise with your item usage, and fighting to remember where you saw that herb you couldn’t quite carry an hour ago. Playing through the campaign was a constant battle of keeping your inventory in-check and also planning ahead for the other half of the story. Because you got to play from both perspectives, you would need to be extremely careful about depriving your other-half of vital items you might need later down the track. It added a whole new layer to the classic survival horror formula. Aside from that, trying to aim while surrounded by zombies was hard enough, but the unique camera added another layer of challenge. 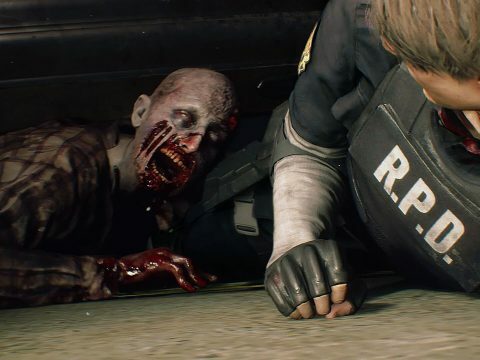 Way back in 2015, an official announcement was made concerning Resident Evil 2 receiving a HD remake, and since then, we’ve been waiting with baited breath for any more news. The 20th anniversary of Resident Evil 2 has come and gone, and yet no news has surfaced. However, we’ve not given up hope, especially when you consider that three years is quite a length of time in game development. Besides, it’ll be E3 before we know it, and what better time to unveil what RE2 looks like on modern hardware? Not only would the visuals be vastly improved, but the audio would sound incredible. Imagine sitting down to experience Resident Evil 2 with a headset like the Stealth 700 and hearing the DTS Headphone:X 7.1 Surround Sound going to work? If you thought the audio was creepy back in 1998, imagine what it would be like now with jaw-dropping surround sound. 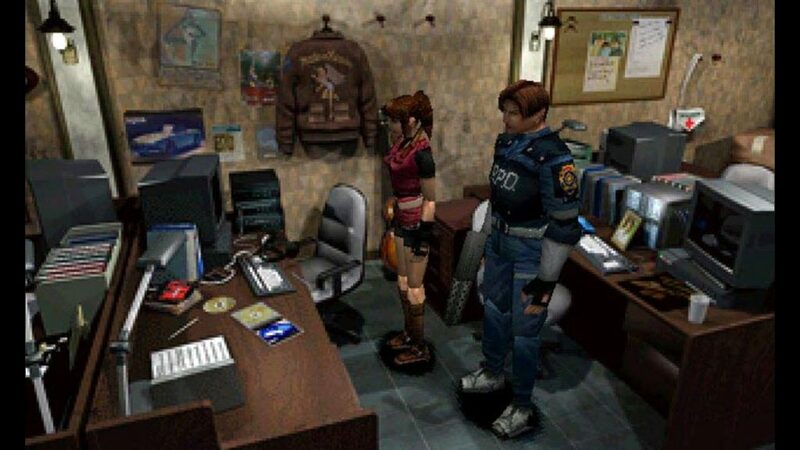 It’s hard to believe that it’s been twenty years since Resident Evil 2 first shambled its way onto our home consoles, but if we can go that long without experiencing it in HD, we can wait just a little while longer. But not too much longer, because we really want to experience Racoon City again!